Looking for the best methods to make money online? WordPress powers over 31% of all websites. So, with the right strategies in place, it’s easy to make money online with a WordPress blog. In this article, we’ll show you 30 legitimate ways to earn money online blogging. While there’re a lot of different ways to make money online, in this article, we’ll specifically explain how to earn money with a self-hosted WordPress blog. To build a WordPress blog, you’ll need to own a domain name and web hosting. A domain name is your website’s address on the internet such as Google.com or IsItWP.com, and web hosting is where your website’s content and files are stored online. The combined cost of a domain name and hosting can be quite expensive, especially if you’re just starting out. That’s why we’ve worked out a deal with Bluehost to offer our users a FREE domain name and over 60% off on web hosting. Bluehost is one of the largest web hosting providers in the world. They’re an officially-recommended hosting provider by the folks who created WordPress. Before you dive in, keep in mind that these are not get rich quick schemes. You’ll need to put in time and effort to reap the reward. Need help building a blog before you begin? No problem. For a detailed guide, check out our article on how to make a WordPress blog. Display Google AdSense: Make money by displaying Google ads to your blog audience. Affiliate marketing: Refer different products and earn a commission when someone purchases from your referral. Sell direct ads: Keep 100% of ad revenue by selling direct ads, without joining any ad networks, like Google AdSense. Publish sponsored blog posts: Allow your sponsors to publish a post on your blog and endorse their products. Publish paid reviews: No need to wait until someone purchases your affiliate product. Get paid by writing reviews. Flip blogs and websites: Just like real estate, flipping blogs and websites is a real business. Monetizing a website with Google AdSense is probably the easiest way to make money online. Google AdSense is a Google-owned advertising network that allows bloggers and website owners to monetize their website by displaying text, image, video, and other interactive advertisements on their websites. Minimal requirement: Unlike other ad networks, you’re not required to have a huge traffic volume in order to join Google AdSense. If you provide quality content on your website, then you can apply to join AdSense. More revenue: Google ads are targeted by site content and audience. AdSense ads are more targeted than other contextual ad networks. Because of this, it helps you generate more revenue than any other contextual ad network. Easy to use: Ad management on WordPress is easy with Google AdSense. For optimal ad placement, you can either choose an AdSense-ready WordPress theme or ad management plugins such as AdSanity. Get started with Google AdSense now! With affiliate marketing, you can choose a product you like, promote it online, and earn commissions when someone purchases it through your referrals. The best thing is, with affiliate marketing, you don’t have to bloat your website with annoying ads. You can refer the products within your articles and generate a solid income when your readers purchase them. The easiest way to find a product you want to promote is to join an affiliate program like Amazon Associates, Commission Junction, or ShareASale and browse through their site. After selecting the product, you can get an affiliate link and promote the product through that link on your site. Placing affiliate links in your website is easy. However, it’s advised to use an affiliate link management plugin like ThirstyAffiliates because you can organize all your affiliate links in a single place. In case the company that you promote modifies the affiliate links, then you don’t have to waste your time by replacing every single link you added throughout your site. Instead, you can change it in the ThirstyAffiliates panel and all of the affiliate links on your site will be automatically updated. 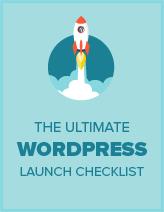 You might also want to check out the best affiliate management plugins for WordPress. Advertising networks take a portion of the ad revenue you generate from your website. If you’ve grown a significant traffic base, then you can start selling direct ads on your site. That way, you can keep the full ad revenue profits from your site. Using AdSanity is the best way to sell direct ads on your site. AdSanity is a lightweight ad management plugin for WordPress. You can read our complete AdSanity review for more details. Publishing sponsored posts is one of the easiest ways to make money online. You can publish a sponsored post once in a while to make some extra income from your WordPress blog. When publishing a sponsored post, make sure to explicitly tell your audience that it’s a sponsored piece of content. Otherwise, it might come off as a little out of sync to your trusting audience. Plus, in some countries, like the United States, a blogger needs to comply with FTC’s Endorsement Guide by disclosing whenever a post is sponsored. If you publish sponsored posts on an ongoing basis, then you might want to install the WPForms plugin on your site. WPForms allows you to create a post submission form on your WordPress site. With a post submission form, you can allow users to submit a post in WordPress without providing them access to your WordPress dashboard. In addition, you can require your sponsors to make a payment while submitting the post for your review. For more details, learn how to accept a sponsored post in WordPress. Affiliate marketers often publish product reviews on their site so they can refer affiliate products and make money. Did you know that you can even get paid for writing product reviews? The easiest way to get started with publishing paid reviews is join Sponsored Reviews as a blogger. That way, you can easily connect with sponsors who want to publish a paid review on your site. Just like real estate, flipping websites is a serious business. Because building and growing a website is a lot of work, entrepreneurs often prefer purchasing an established website over starting one from the ground up. Flippa is the world’s largest marketplace that helps you buy and sell websites. Alternatively, you can partner with a website brokerage firm to sell a website, like Quiet Light Brokerage. A community-powered website requires users to register an account. You can collect a monthly membership fee and earn recurring income. Creating a paid membership site is another great strategy to earn money online. You can create a premium content library on your site and make it accessible behind a paywall. The easiest way to create a premium content library is by repurposing your existing content. For example, you can turn your blog posts into downloadable resources such as eBooks and make them accessible behind a paywall. MemberPress is the best plugin to start a membership site. For more plugins, you can read 7 best WordPress membership plugins. Looking to sell online courses? Want to create an immersive learning experience to teach your students through various gamification methods? 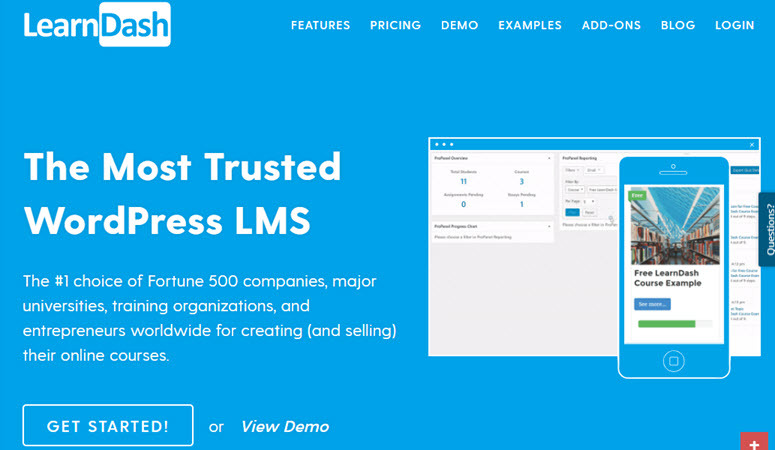 Then, you should consider installing a Learning Management System (LMS) plugin on your site. With an LMS plugin like LearnDash, you can make learning on your site fun and easy with gamification. The main difference between a typical a membership plugin and an LMS plugin is that an LMS plugin entices users to take more lessons, builds engagement on your site, and increases the likelihood of retaining your students longer. Creating a private forum with paid memberships is a great way to earn recurring income on your site. To integrate a forum into your WordPress website, all you have to do is install a forum plugin such as bbPress. Then, you can restrict the forum content based on membership level with a membership plugin such as Paid Memberships Pro. Building a niche social network or integrating it into your existing WordPress site is another way to generate recurring income. A niche social network provides you with more options than a forum. You can create a social network in your niche that has powerful features like activity streams, groups, member profiles, messaging, and everything else you would expect from a regular social network. Now, you might be wondering, why should you build a community around a popular social network? Aside from generating revenue, it gives you more control over your content, lets you build a niche community, and establishes your expertise. You can install BuddyPress on your site to build a niche social network. Sell eBooks: If you’re running a blog, chances are the easiest product you can create is an eBook. Kindle Direct Publishing: Earn royalty by lending your books through Kindle Direct Publishing program. Start an eCommerce business: Create an online store for selling physical products. Allow subscription-based shopping: As opposed to a typical eCommerce business, a subscription-based economy relies on custom retention rather than acquisition. Create a digital storefront: Create an online store for selling digital goods. Create an Amazon affiliate WordPress shop: Creating products for selling can be tedious. So choose products from Amazon and sell them on your store. eBooks are probably the easiest digital product you can create and sell on a WordPress website. You can either repurpose your existing high-value blog posts into an eBook or start writing a brand new one from scratch. Once you’ve created an eBook, you can get a cover copy designed by a low-cost service marketplace like Fiverr.com. Using Easy Digital Downloads is the easiest way to start selling digital products on your website. For more solutions, you can also read our guide on the best WordPress eCommerce solutions. Kindle Publishing is the best way to reach millions of readers on Amazon. After you create an eBook, you can enroll it in Kindle Direct Publishing (KDP) Select and earn up to 70% loyalty on sales. The KDP Select requires you to make your eBook exclusive to the Kindle Store. You can earn a share of the KDP Select Global Fund based on how many pages and customers read of your book. You can also give away your eBook for free for a limited time to gain traction. To gain even more traction, you can encourage your blog readers to check out your kindle book. The eCommerce industry is booming and retail trends show that 51% of Americans prefer online shopping. With WordPress, it’s easy to create an online store or integrate a storefront into your existing site. While there’re a lot of WordPress plugins that help you create an online store, WooCommerce stands ahead of the curve. For a detailed step-by-step guide on how to get started, you can read how to create an online store. Subscription-based businesses are rapidly becoming the norm in every industry, including the eCommerce business. Many retailers now also sell products on a subscription basis on top of their pay-per-product model, such as Amazon Prime. You can also find eCommerce businesses that are entirely based on a subscription model such as NatureBox.com and BlueApron.com. Unlike a typical eCommerce business, a subscription model helps you drive recurring sales and the entire business model counts on customer retention rather than acquisition. With WooCommerce Subscriptions, an addon plugin for WooCommerce shop, you can allow your customers to subscribe to your products and earn a consistent recurring income. Do you want to create an online store only for selling digital products? Then you might want to install Easy Digital Downloads on your site. While WooCommerce lets you sell digital products on your website, the downside is that it comes bundled with many features you’ll never need for running an exclusively digital goods storefront (such as shipping options). Read our complete Easy Digital Downloads review. Want to create an online store, but don’t have the time and resources to create products? Then, you can build Amazon affiliate store in WordPress. Amazon is a well-known eCommerce store with hundreds of thousands of products. They enable anyone to sell online by simply listing their products in their store. Amazon also has a great affiliate program known as Amazon Associates that helps you earn affiliate revenue by promoting Amazon products. You can either create a new online store promoting only Amazon products or sell Amazon products in your existing store. Read how to create an Amazon affiliate store in WordPress. Start your own consulting business: Offer online consultation and earn money. Offer freelance services on your website: If you’ve grown an audience base around your site, then you can convert them into paying clients. List your services on a freelancing site: No audience base? No worries! Submit proposals to job listings and offer your expertise. Sell your service gigs on Fiverr: Simply list your service gigs on Fiverr to win gigs. No need to submit proposals. Another way to earn money from your expertise is by providing online consultation. Instead of selling a service as a freelancer, a consultant offers advice and strategies to needy clients. You can create a page on your WordPress site and start offering consulting services. Make sure to publish a form so that users can get more info and request a quote from you. You can use WPForms to create a ‘request a quote’ form on your site. Offering your skills and expertise on your website as a freelancer is one of the best ways to make money online. When you’re starting out as a freelancer, you’ll need to spend a significant amount of time searching for clients. If you build a website, then you can list your services on it, and encourage your visitors to hire you. As you freelance, you’ll need to invoice your clients and collect payments for your services. We recommend using FreshBooks, the best invoice and billing software for selling freelance services. Converting your website visitors into paying clients can be challenging, especially if your website doesn’t attract the potential clients that you want to work with. Just because you list your expertise on your site, doesn’t necessarily mean that you can win freelancing gigs. This is why service providers rely on freelancing site, like Upwork.com where they can submit proposals to potential clients. Clients post job listings in hundreds of skill categories. Freelancers can submit their proposals to win a gig. You can showcase your Upwork profile on your blog. Showcasing your profile can increase the credibility of your offer and encourage your visitors to hire you for their upcoming project. Fiverr is the world’s largest small services marketplace where you can buy and sell service based gigs. Unlike freelancing sites, you don’t have to spend time on finding job listings and submitting proposals on Fiverr. To get hired, all you have to do is list your service on Fiverr. Your potential clients can see your profile and order the service right away, just like ordering a product on an eCommerce store. After receiving an order from a client, you can work on a project and deliver the service within the specified timeframe. From podcasts to videos, you can monetize your digital content to make money online. YouTube is arguably the world’s second largest search engine after Google. Not to mention, starting a YouTube channel is one of the best ways to build a steady stream of traffic to your site. Popular entertainment websites like List25 publish videos regularly on their YouTube channel by transforming their blog content into videos. You can upload quality videos to YouTube and start earning revenue by joining the YouTube partner program. To join the partner program, you’ll need to have at least 1,000 subscribers and 4,000 hours of view time in the past year. To quickly grow your subscribers and view time, you can embed your videos on your website and encourage your visitors to subscribe to your channel. Podcasting is pretty simple to start. In order to publish a podcast on your WordPress site, you’ll need to have an audio file and an RSS Feed that users can subscribe to. Generally speaking, podcasts are large audio files. Since hosting your podcasts file on your website can consume a lot of server resources and slow down your site, it’s recommended to use a media hosting platform like Blubrry. To earn an income from podcasting, you can start accepting sponsorships to run your podcasts. The sponsor’s message can be read out at the beginning, possibly in the middle, and repeated again at the end. Learn how to start a podcast with WordPress. A webinar is an online meeting or presentation held on your website in real-time. A webinar is similar to an online course, but it’s live and often includes a question and answer section at the end. WordPress makes it easy to host a paid webinar. You can conduct a webinar on Google Hangouts and charge users for joining a webinar with Webinars OnAir. If you’re a WordPress plugin developer, then you can consider creating and selling WordPress plugins. There are many different ways to sell WordPress plugins. The easiest way is to use a premium marketplace such as CodeCanyon and list your plugin. You can also create a WordPress website and start selling your WordPress plugins on your site. Creating a freemium WordPress plugin is another way to make money by selling plugins. That way, you don’t have to share your revenue with a marketplace like CodeCanyon. If you’re a WordPress theme developer, then you can create and sell WordPress themes on your website. As with plugins, you can use a premium marketplace to sell your WordPress theme such as Themeforest. Alternatively, you can release a free version of the theme and sell the premium version on your website. You can promote the premium version directly within your free WordPress theme. If you’re a graphics designer, then you can design and sell graphics on your WordPress site. You can create graphics such as stock images and sell them on your site. Alternatively, you can join an online marketplace to sell your graphics. Have an idea about a groundbreaking project? Then, you can seek money for the project using crowdfunding platforms like Kickstarter.com? Kickstarter is the right platform for you IF you have a quality prototype, combined with a compelling vision for your project. If you run a non-profit or release free products on your site, then you can start accepting donations on your website. Using WPForms is the best way to accept donations on your WordPress website. WPForms is a complete WordPress forms solution that also allows you to create a donation form on your site. The plugin supports 2 payment gateways: PayPal and Stripe. Depending on your needs, you can choose the right payment gateway and start accepting donations. With WordPress, you can easily build a room booking system on your website. Whether you own a hotel business or offer vacation rentals, adding a booking system on your website makes it easy for your visitors to rent your home or room. The Booking Calendar plugin is one of the most popular booking plugins in the WordPress plugin repository. It stores all your bookings data in your WordPress database, so you don’t necessarily need to have a third-party account to manage bookings. It also allows you to import feeds from third-party services such as Airbnb, Booking.com, etc. WP Job Manager is a free plugin that allows you to easily create a WordPress job board on your site. Since it’s a shortcode-based WordPress plugin, it can work with any theme and is super easy to set up. While the core plugin is free, and comes with all the essential features you’ll need, there’re also addons for advanced features. We hope this article helped you get plenty of ideas for making money online. If you liked this article, you might also want to read how to install Google Analytics on WordPress.